But in a way, he did have kind of a point. If still very much a part of the Jeep family, these models were kind of mired in the awkward adolescent stage. A couple of them were around for five years or less before the company gave up and took another crack at the compact/midsize SUV/Crossover segment with another product. The Liberty, introduced as a 2002 model, almost made it to its teen years before giving way to the revived Cherokee about three years ago. 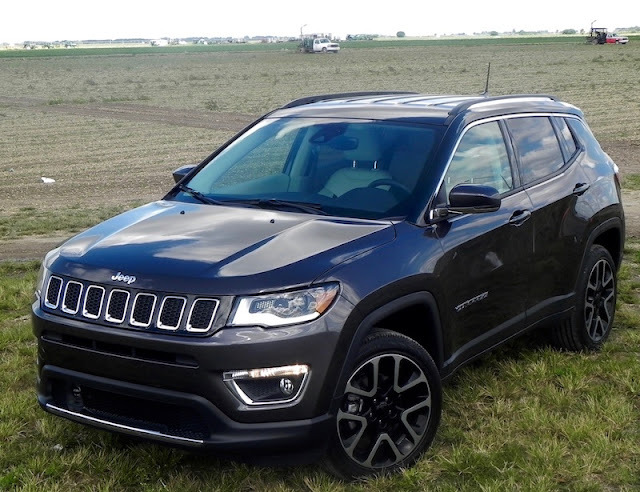 At one time, the Jeep Compass, introduced along with the Jeep Patriot at the 2006 New York Auto Show, seemed headed for a similar fate as the Liberty. Reviews knocked it for its sluggish performance, its fuel appetite, its poor handling, its small cargo area, and its general lack of features and overall quality. The best thing it had going for it was its relatively cheap price. 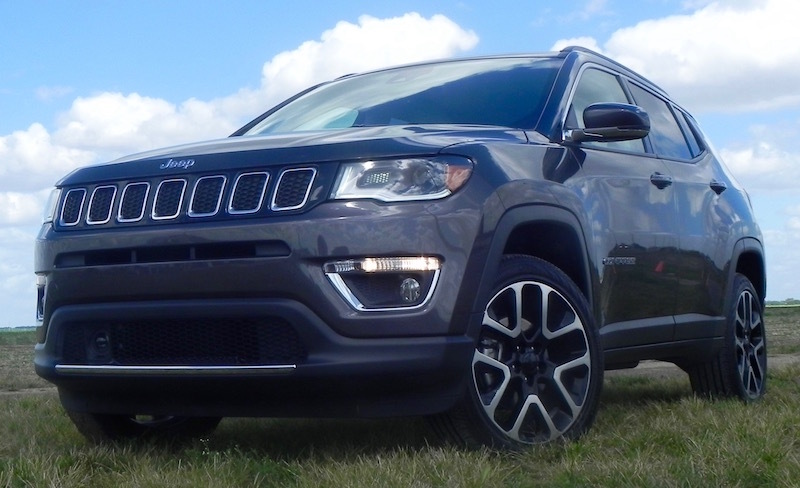 Even that couldn’t prevent a serious sales dip recently for the Compass, however. The numbers for March 2017 were off a whopping 66 percent from the same month the year before with a drop of 63 percent for year-to-date sales over the same period for 2016. 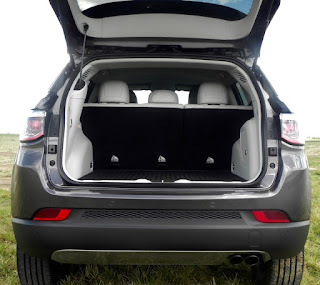 Its engine packs more punch, it’s a bit more economical, and passenger and cargo room as been increased so as to make it at least competitive in a class that includes such notables as the Nissan Rogue, Honda CR-V, Toyota RAV4, Ford Escape, and Chevy Equinox, the sales leaders in the segment. The Compass also has the advantage of more off-road capability than others in the class. The 2.4-cylinder Tigershark engine in the new Compass boosts horsepower and torque figures to 180/175, respectively, over the 158/141 of the 2016 base models as well as the 172/165 of the top-of-the-line offerings of last year. Fuel mileage increased slightly over 2016’s numbers, and both front legroom and rear cargo stowage area have been increased. 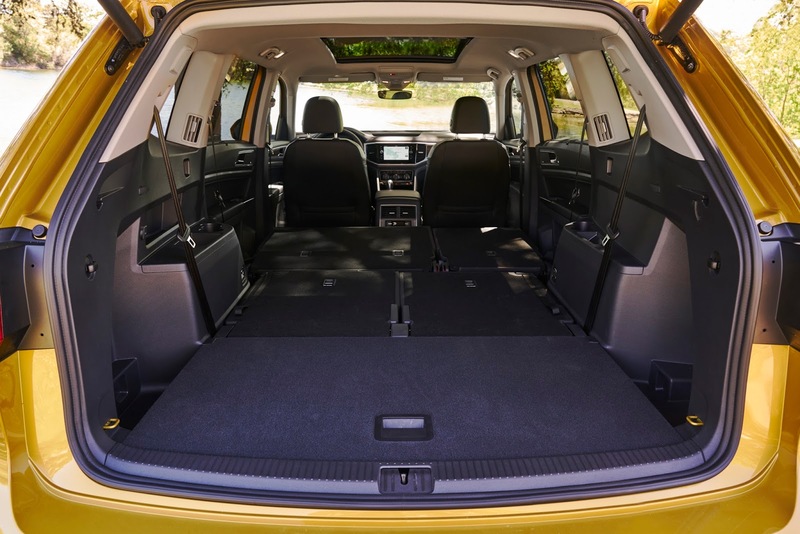 Jeep says cargo capacity behind the second row is up to 27.2 cubic feet from 22.7 and with the second row folded is up to 59.8 cubic feet from 53.6. Considering that hauling capability is one of the features you’re usually looking at when it comes to an SUV/Crossover, that’s a significant improvement. My test vehicle for the week was the Compass Limited trim with four-wheel drive. The Compass also is offered in base Sport, Laramie, and Trailhawk trims, the latter for more serious off-roading enthusiasts, and with both 2WD and 4WD. 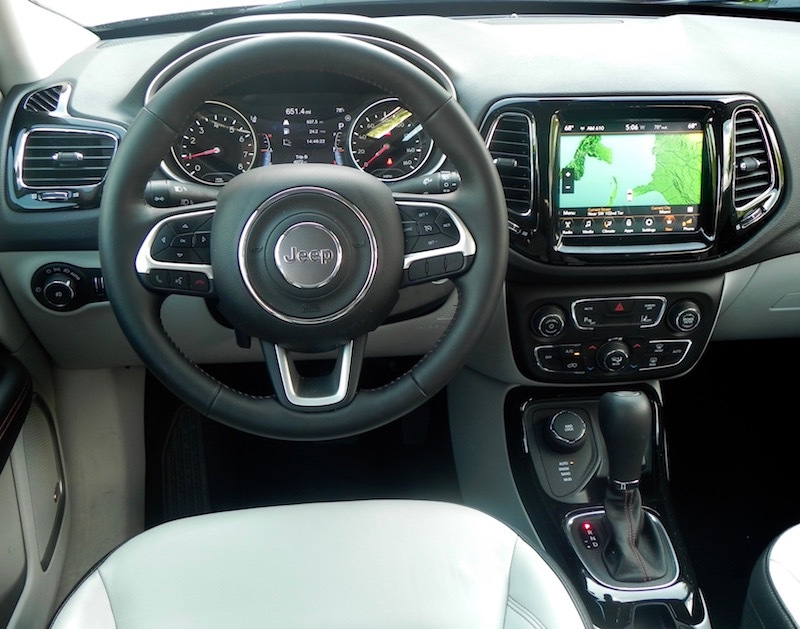 The Compass Limited comes with a 9-speed automatic transmission as standard over the six-speed automatic or six-speed manual offered on other trims. That combination results in fuel economy numbers of 22 miles-per-gallon city, 30 highway, and 25 combined, which I found fairly accurate after about 10 days of mostly highway driving. The computer showed me hovering around 25 mpg after approaching 30 earlier in my 240-mile stint. FWD and manual transmission models vary by about a mile or two per gallon with the most efficient being 2WD models with manuals (23/32/26). Many of its competitors offer better numbers, but to be fair, some are worse as well. The Limited 4WD has a base MSRP of $28,995, but adding such optional equipment as the UConnect 8.4 NAV system, Sirius satellite radio, a power liftgate, 19-inch black pocket aluminum wheels, Beats premium audio, and safety features such as blind spot warning, rear park assist, HID headlights, lane departure warning ran the total cost to $34,955, including the $1,095 destination charge. We should offer up an alert here. 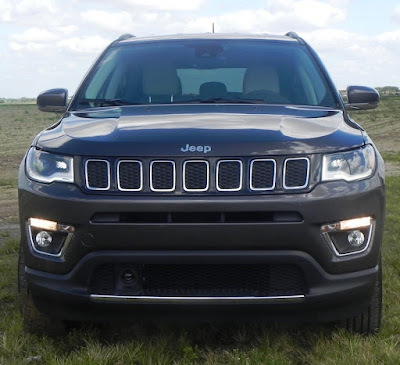 Jeep is selling the 2016 Compass as a 2017 model under what FC Authority (an enthusiasts’ website) labels a “budget alternative” to the “all-new” 2017 Compass. 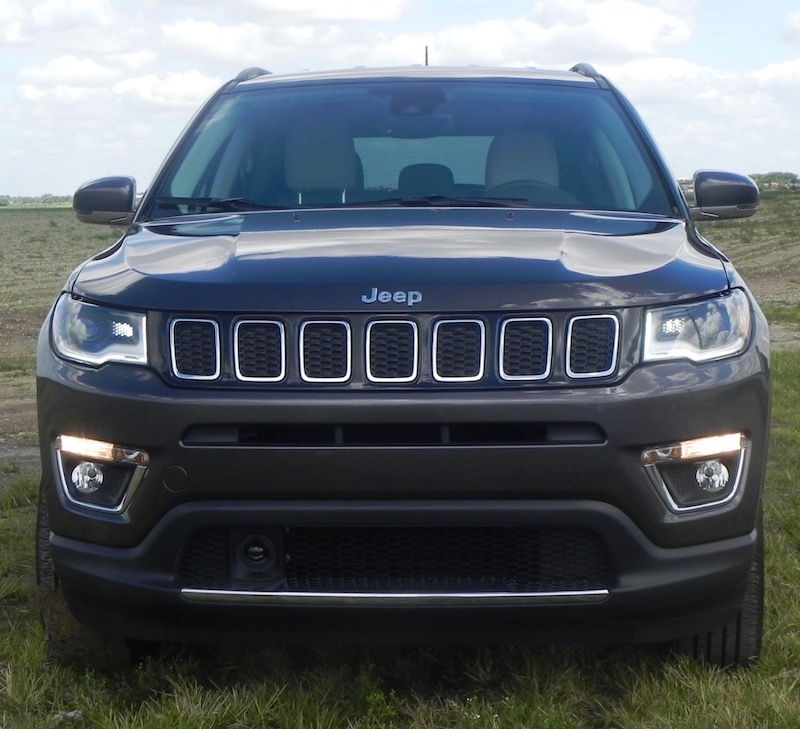 It seems a little confusing, but Jeep attributes the reason to plans to market the new Compass later as a 2018 model while the old one (the 2016) will continue to be sold globally as a 2017. FC Authority notes some “wicked” deals are being made on the “old” 2017 models in the interim. Just make sure you know what you are getting. What I liked about the 2017 Jeep Compass: All the technological functions in the Limited are extremely user-friendly. The 8.4-inch screen in the optional UConnect system is well worth the $895 cost. We also made good use of the extra cargo space! 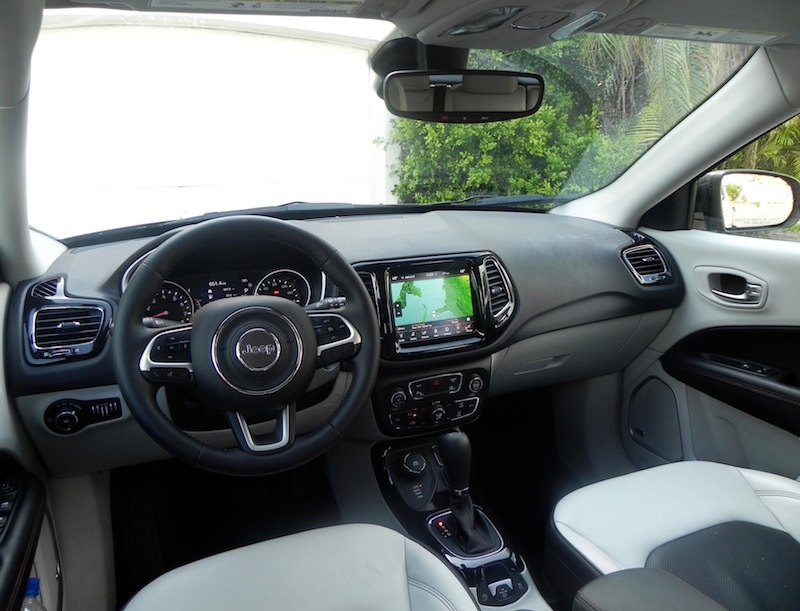 What I didn’t like about the 2017 Jeep Compass: Though there is decent legroom in the front, the seats could offer more in the way of comfort. I’d like a bit more in the way of throttle response as well. 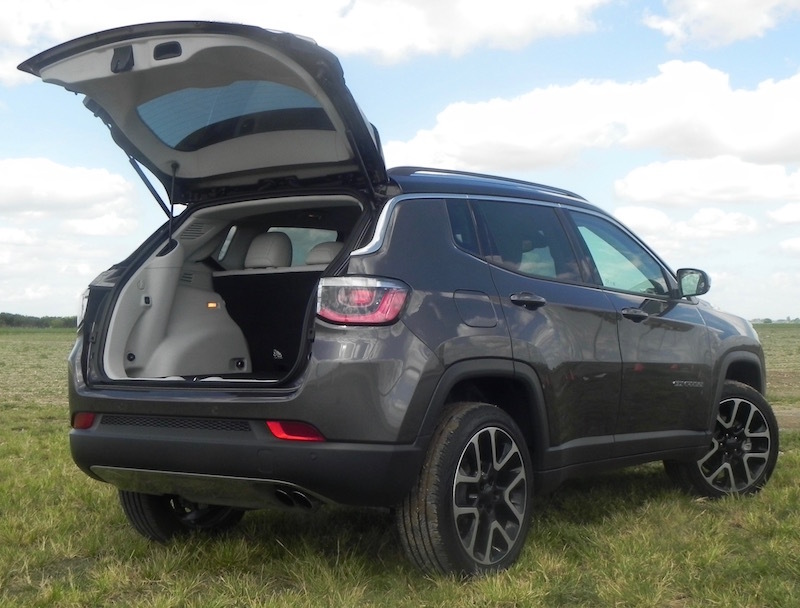 Would I buy the 2017 Jeep Compass: Unless I really wanted that off-road capability, which I don’t get to test much in South Florida environs, I probably would go for one of its many competitors first. But the Compass is worthy of a look. Three years ago or so Jaguar paid homage to its illustrious past when it brought the F-Type to the market. It was the first roadster from the company in 40 years and stirred memories of the legendary Jaguar E-Type, which was based on the British marque’s D-Type racing car and manufactured from 1961-75. Such was the admiration for the E-Type that Enzo Ferrari, who had some great looking machines coming out of his own shop, flatly declared it “the most beautiful car ever made.” High praise indeed. 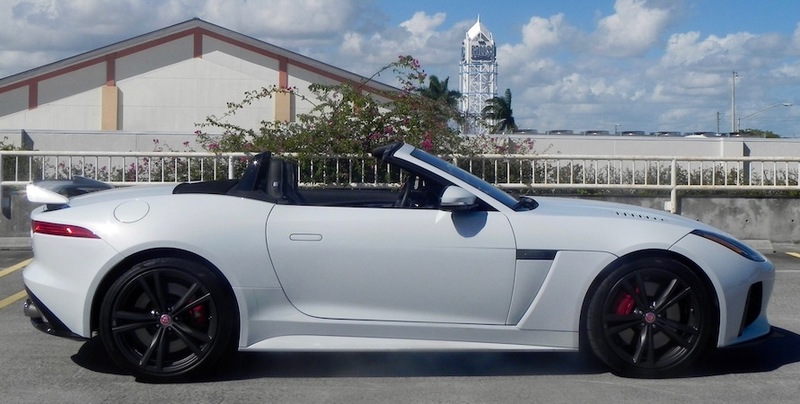 So the F-Type had a lot to live up to when it came out as a soft-top convertible for 2014 and coupe the following year. I’d say it has done a pretty good job of meeting that standard. If not the “most beautiful car in the world” — a subjective observation if there ever was one — it certainly ranks among the top five or so in today’s vehicles, though frankly I’m not sure why I picked five because I can’t think of four others I would rank ahead of it. It’s that eye-pleasing and draws admiring glances whether it is sitting in the driveway or cruising the streets. 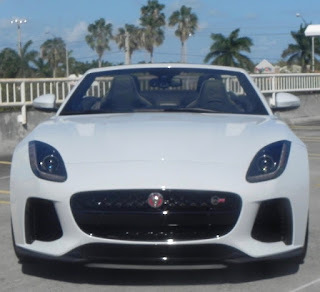 But to attain potential legendary status as a sports car a vehicle has to deliver in performance, and there the F-Type lives up to its promise as well. 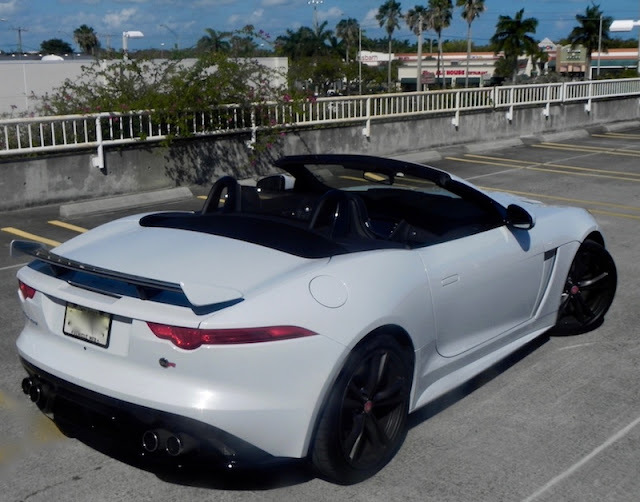 Originally offered with both supercharged V6s and V8s that ranged from 340 horsepower and 332 pound-feet of torque to 495/460, respectively, Jaguar upped the ante for the F-Type in succeeding years with S and R trims that boosted those numbers up to 550/502. For 2017, the Jaguar F-Type SVR — my drive for the week — even blows away those numbers with 575 hp and 516 lb.-ft. of torque. It leaps from zero-to-60 mph in 3.5 seconds and from 50 to 75 in 2.3, which helps not only when passing a slower vehicle but finding an open spot when changing lanes in traffic. 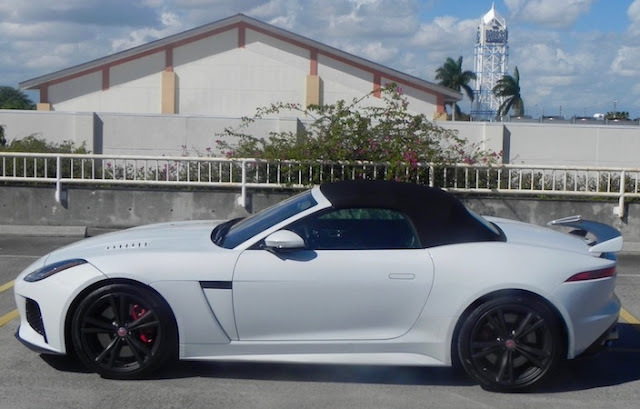 With five trim levels overall, F-Types with the V6 engine are available with rear-wheel drive and manual transmissions, but V8 models like the SVR come only with all-wheel drive and an eight-speed automatic transmission. It has a sport mode and steering wheel-mounted paddle shifters for manual gear selection if desired. That combination results in fuel mileage figures of 15 miles-per-gallon city, 23 highway and 18 combined with premium fuel recommended. Numbers for the V6 are 20/28/23 with an automatic and 16/24/19 with the six-speed manual. In the works for 2018 is a turbocharged 2.0-turbo 4-cylinder engine with 295 lb.-ft. of torque that claims a zero-to-60 time of 5.4 seconds. In addition to appearance and performance, the F-Type also rates highly when it comes to the comfort and conveniences associated with the luxury class. The company didn’t skip when it came to quality materials. The power adjustable seats don’t recline all that far, this being a two-seater, but are power adjustable 14 ways and have adjustable side bolsters for support when pushing it around corners. The seats essentially envelop you when you get in. 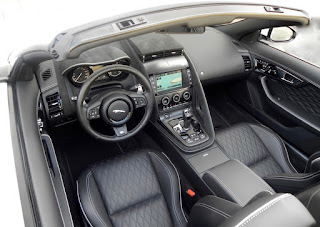 Standard equipment on the F-Type SVR convertible includes a fully electric power top, premium Meridian sound system, touch-screen operation for the navigation system and other functions, automatic climate control, rearview camera, keyless entry and push-button start, blind-spot monitor (much appreciated with the restricted view you get with the top up), quilted leather seats, and suede dash trim. Standard exterior features included HID headlights, a switchable active exhaust system, adaptive dynamic suspension, and a carbon fiber aerodynamic spoiler. All that is included in the MSRP of $128,800 for the F-Type SVR — which approaches double the MSRP for the base F-Type convertible. Throw in the $995 destination and delivery fee and options like an extended leather package, carbon-fiber center console, illuminated treadplates, wheel locks, and a car care kit and the total for my test ride came to $132,283. One of the few shortcomings I found is in the technology. 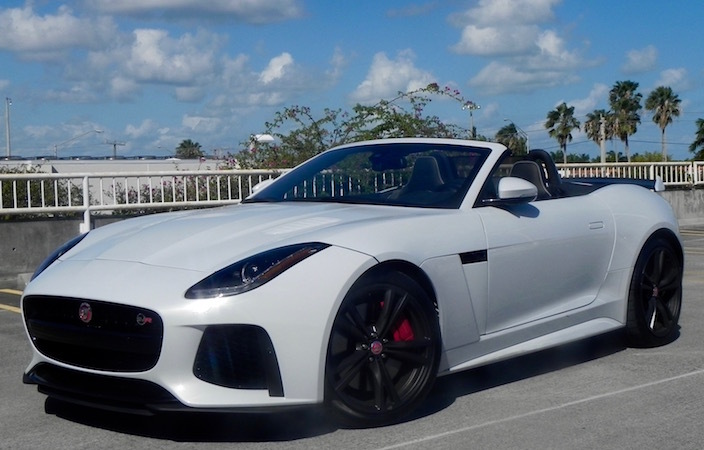 Jaguar always seems to be behind the curve when it comes to the operation of the gadgets and gizmos that fill modern luxury cars today, whether it be in the graphics or the steps needed to operate the functions. There was not a voice command system for audio or nav functions in the SVR, which doesn’t bother me but might some in the younger generation. Here’s one of the mysteries in auto life. Why is it that the more expensive a car is, the more complicated operating the technological features becomes? At least the phone connects easily enough. The shortfalls in technology, however, are trivialities compared to what the F-Type SVR offers in the way of performance, appearance, and luxury. Get behind the wheel and you’ll likely agree. 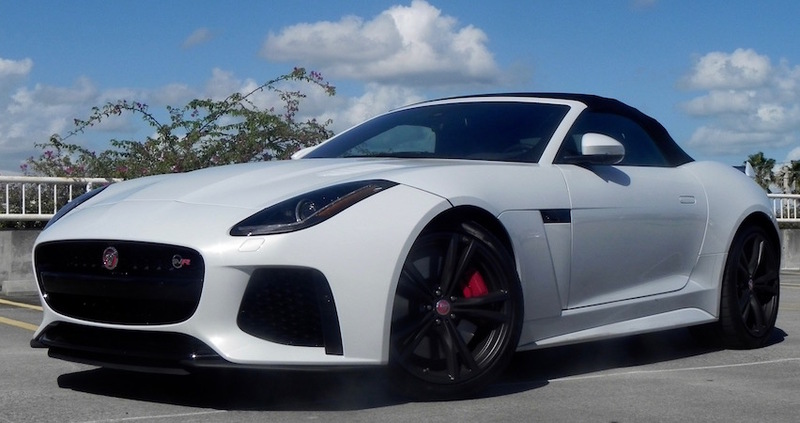 What I liked about the 2017 Jaguar F-Type SVR: The performance is exhilarating. Flipping the switch on the console to “Dynamic” even adds to the auditory experience with a staccato cadence coming from the dual-quad exhausts. What I didn’t like about the 2017 Jaguar F-Type SVR: In addition to the techno quirks, the convertible trunk is small (only 7.3 cubic feet) and oddly shaped to accommodate the rear wheel wells. Not that you’re going to do a lot of hauling in it, but I’m not sure you could fit two average-size suitcases in there, especially if they were hard cases. 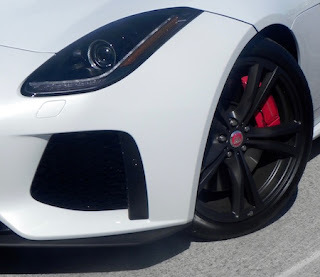 Would I buy the 2017 Jaguar F-Type SVR? Yes. Yes. Yes. it’s a great choice in the segment. I’m here to say they don’t mean the same thing. For instance, the 2017 QX60, a luxury midsize SUV from Infiniti, is inexpensive when compared to some of its competitors. But it’s not cheap by any means. Far from it. Cheap would indicate the luxury arm of Japanese automaker Nissan had cut corners, used lower grade materials, and did just enough to get by when it introduced the vehicle under the JX35 nameplate as a 2013 model. It did not. Rebadged the QX60 for 2014 under the company’s new naming policy, it offers all the amenities shoppers expect — no, demand — from the segment, with all the comfort and eye-pleasing design touches like maple interior trim and a console that has two levers to allow access to a shallow compartment for keys and door openers and another deeper one for larger objects like a camera. And it comes with a base MSRP of $43,100 plus the destination and delivery charge of $995, leaving well under the $45,000 threshold. It’s slso a chunk of change well under that of all but a handful of its competitors in the class. Standard equipment included in that price are a 3.5-liter, V6 engine that has been juiced up to 295 horsepower and 270 pound-feet of torque from the 265/248 of the 2016 model, a continuously variable transmission (CVT), leather appointed seats, 8-way power driver’s seat with manual lumbar adjustment, leather-wrapped shift nob and steering wheel, tri-zone (left, right, rear) climate control, HID headlights and LED fog lights, 8-inch color information display, rearview monitor, voice recognition for audio and Bluetooth, push-button start, a power moonroof, and a raft of safety features that results in an overall five-star safety rating from the National Highway Traffic Safety Administration. To get more of the good stuff, yes, you’re going to have to delve into options and packages that are going to run the price up. In fact, a Premium Package (two-way power lumbar, heated steering wheel, remote engine start, etc. ), Premium Plus Package (Infiniti InTouch with navigation, etc. ), Theater Package (dual 8-inch rear-monitors for video playback, etc. ), and Deluxe Technology Package (20-inch aluminum alloy wheels, Bose cabin-surround sound system, Intelligent cruise control, motion-activated rear liftgate, etc.) ran the total MSRP for my test QX60 to $58,245, which still is below base price for others in its class. Remember, inexpensive, but not cheap! Among other attributes, the QX60 seats seven with remarkable space for those relegated to the third row. 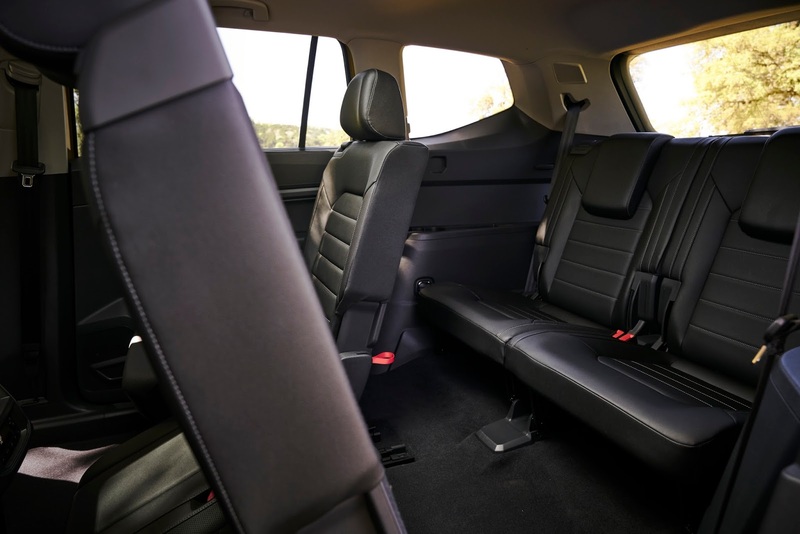 With 30.8 inches of legroom, a couple of adults can easily fit back there, and second-row occupants have enough room (a maximum 41.7 inches of legroom) to move their seats forward to make life easier for those in the third row. Access to the far back also is quite good. You simply pull a knob on the back of the second row seats and they slide forward and you step in. The seats flip back into position easily as well. The downside is that cargo space behind that third row is a somewhat meager. With all seats in place, stowage is listed at 15.8 cubic feet, hardly the size of a good-sized sedan trunk. 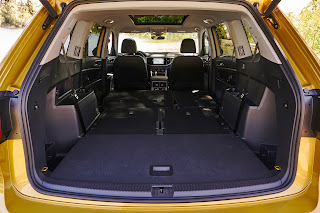 Flip those third-row seats forward and the space increases to 40.8 cubic feet. The infotainment systems is remarkably user friendly. Don’t like to use a touchscreen or the rotary knob for various selections? No worry. Duplicate buttons, including knobs to adjust audio sound levels and surf the dial, are there as well. There are plenty of USB ports, one in the console and three in the back, for charging your devices. Though I’m not a big fan of CVTs, I found the QX60s performance adequate for the class. No, it’s not a Porsche Cayenne, but it’s not a slug either. You can adjust the transmission for Standard, Sport, Eco, or Snow mode, and I found leaving it in Sport resulted in somewhat livelier responses. The website zeroto60.com clocked an all-wheel-drive version of the QX60 from zero to 60 mph in 7.1 seconds. That won’t give you whiplash, but it’s not going to have you banging the steering wheel for more speed. The upside comes with fuel mileage ratings of 20 miles-per-gallon city, 27 highway, and 22 combined, among the best of the non-hybrids in the segment. Premium fuel is recommended for top performance, so why go chintzy? The ride itself is quiet and smooth. I found the QX60 to handle normal road bumps quite well, and it was particularly at home for highway cruising. At the same time, it’s not overly big to cause you any concerns when it comes to navigation shopping mall parking lots. 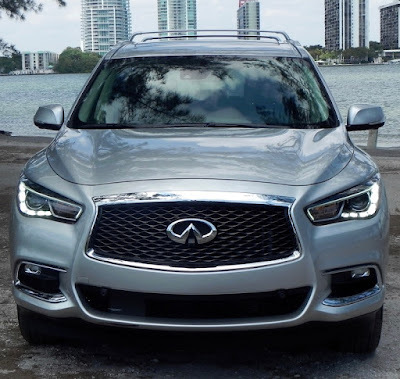 What I liked about the 2017 Infiniti QX60: Technological functions are plentiful and very user friendly. You can use a rotary knob to adjust the cursor, use the hard-wired buttons on the center stack, or the touchscreen. (Touchscreen is not the best choice.) Response to voice commands also was good. What I didn’t like about the 2017 Infiniti QX60: Storage is limited when all seats are in place. That’s the curse of three-row SUVs. 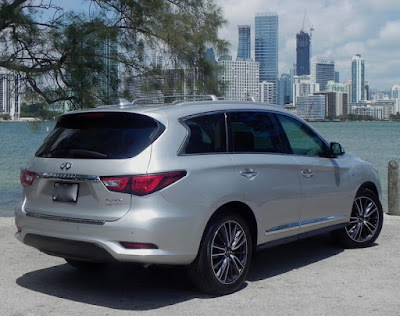 Would I buy the 2017 Infiniti QX60? I don’t have a need for a three-row SUV, but if I did, I would have this one on my shopping list. I’d had to overcome my antipathy toward CVTs, but this one has more the feel of an automatic than any I have encountered. The test model didn’t come with paddle shifters, but you can select corresponding gear ratios via the console shifter. 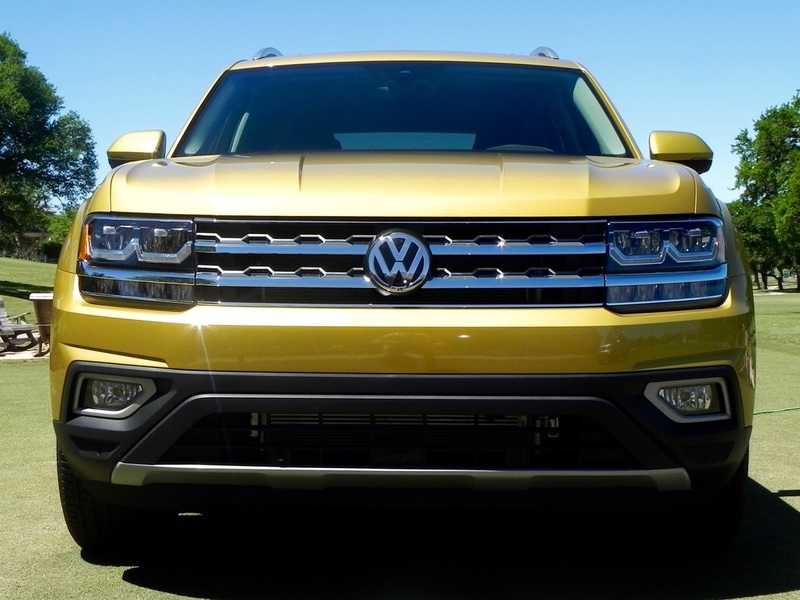 A new SUV is coming to Volkswagen showrooms in May. The 2018 VW Atlas will be a second model to come out of the German automaker’s assembly plant in Chattanooga and will be distributed throughout the U.S., Canada, and Mexico on this side of the Atlantic and Russia and Middle Eastern countries on the other. It also will be manufactured and sold in China under the name Teramont. 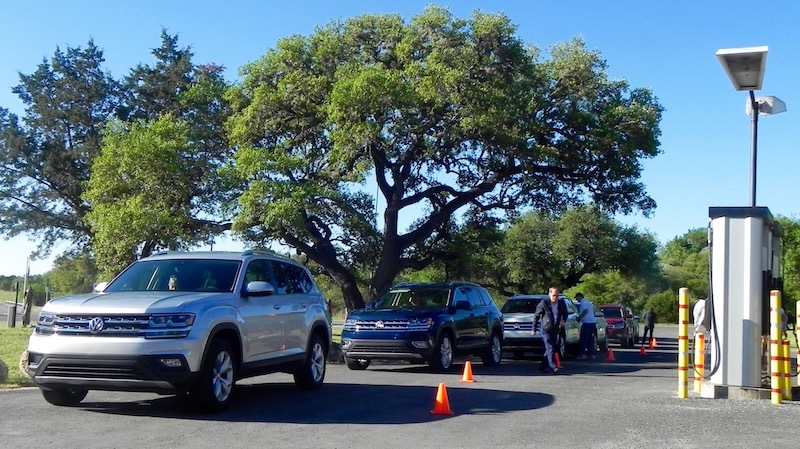 VW chose the San Antonio suburb of Boerne (pronounced “Bernie”) in the heart of Texas Hill Country as the site to preview the new model to automotive media members from around the country and the world, really, with representatives from the Mideast, Russia, Canada, and Mexico included in one of the sessions as well. A second reason, he added, is that the company tagline is “Life is as big as you make it,” and there’s no place bigger in the Lower 48 states than Texas. At 198.3 inches long, 78.3 inches wide and 70 inches high, the Atlas is larger than any other VW model on sale in the U.S.
Texas Hill Country also offered the opportunity for journalists to stretch the legs of the new vehicle over a series of curvy Texas roads, including one stretch of two-lane highway that featured a 70 mph speed limit! 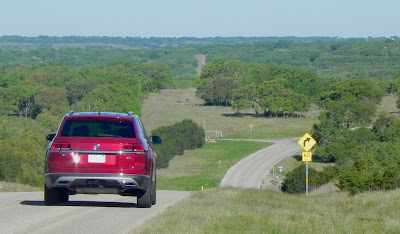 Yes, a road with driveways coming in at the edges and lots of yellow paint lines down the middle actually legally lets you hit what are usually interstate limits only with no fear of being introduced personally to a Texas lawman. And the Atlas was easily up to the challenge. 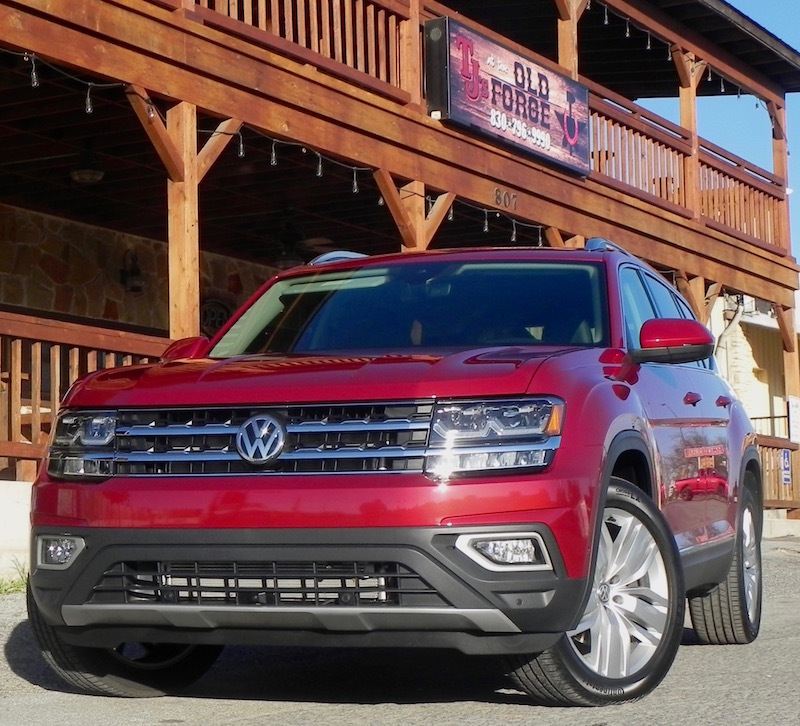 My drive was spent in a top-of-the-line SEL Premium trim which features a 3.5-liter V6 engine (VR6 in VW vernacular) hooked up to an eight-speed automatic transmission and rated at 276 horsepower and 266 pound-feet of torque. With all-wheel drive, this setup allows for up to 5,000 pounds of towing capacity when equipped with a factory-installed trailer hitch (only 2,000 with an aftermarket hitch). 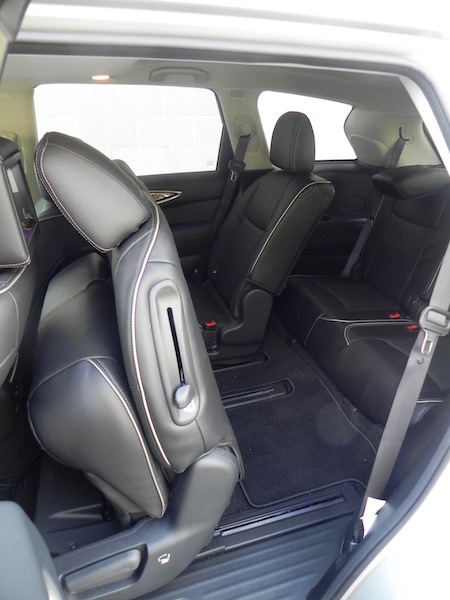 It seats up to seven passengers and gives those in the third row a decent amount of legroom for adults and fairly easy access thanks to second-row seats that slide forward even with baby carseats in place. The Atlas has off-road capability as well — though you wouldn’t want to go challenge the Rubicon Trail with it — and as evidenced by the number bicycles they loaded up on one of the display vehicles seems targeted not just for families but for active ones as well. 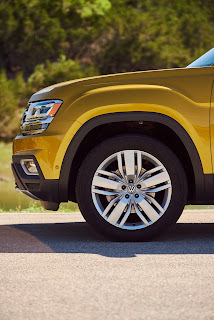 There are numerous driver assistance and safety features, many of them — like the Automatic Post-Collision Braking System that is designed to prevent a secondary collision, a segment first — coming as standard in all Atlas versions. It comes in five trim levels, starting with the base S, which carries a base MSRP of $34,625 (including $925 destination and delivery) and will be available later. The SE starts at $37,715, the SE w/Tec $39,815, and the SEL $43,615. The SEL Premium tops the lists at $49,405 and that includes the V6 engine and VW’s 4Motion AWD system over the standard FWD. A 2.0-liter, turbocharged 4-cylinder engine (235 hp, 258 lb.-ft. of torque) also is offered but wasn’t available at the preview. 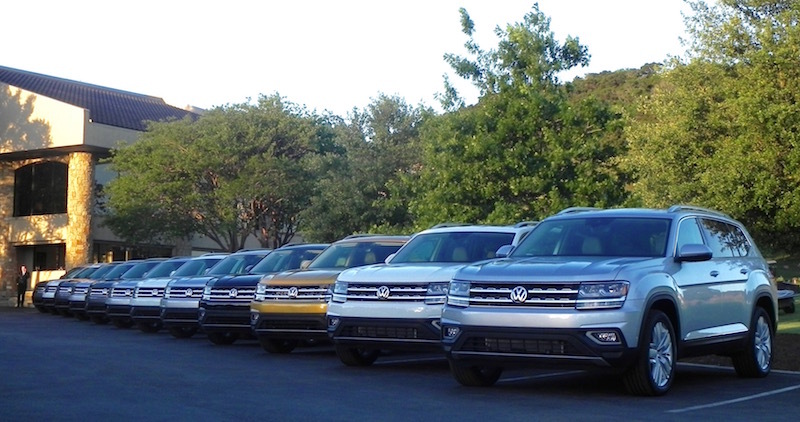 VW expects the V6 to be the far more popular choice among buyers. If you want AWD, it is available only on the V6. Mileage numbers for the V6 are 18 miles-per-gallon city, 25 highway, and 20 combined with FWD and 17/23/19 for AWD using regular fuel. The SEL Premium model handled the bumpy Texas roads with assurance, and aside from the slightest bit of wind noise noticeable on the passenger side, was quiet as well. When pushed up grades or when revved up on a short stretch of interstate, the engine did not seem overly strained. 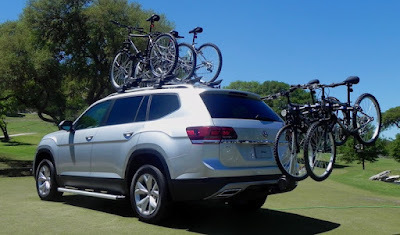 VW also seems to have hit the sweet spot as far as size — big enough to provide up to 96.8 cubic feet of cargo space with all seats folded (and 20.6 with all upright) but not so big it hogs the road. It was at home in both the tighter two-lane stretches for Hill Country roads and stretches of four-lane as well. 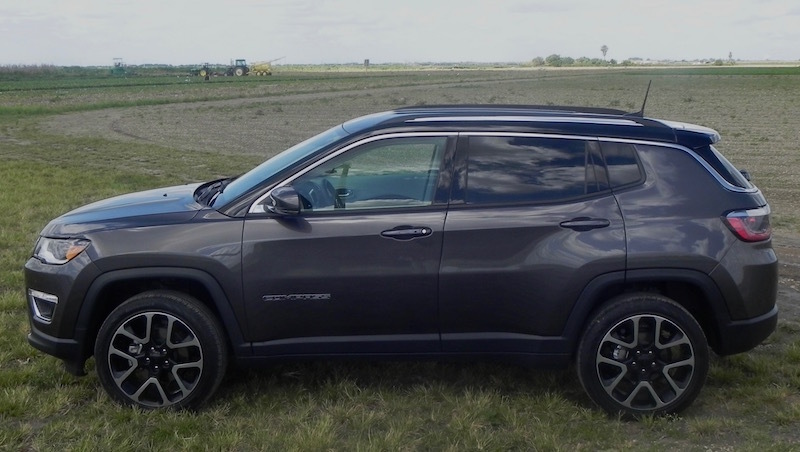 It has a nice exterior appearance about it as well with a nicely designed beltline that flows over the wheel wells and hits home at just the right level to keep the side from taking on a flat, bland appearance. The front grille is distinctive as well. Take away the VW logo in the center, however, and it has somewhat the look of a Land Rover Range Rover Sport. That’s not a knock. It’s just the impression I got. Not sure anybody else did, though. How the Atlas fares in the very competitive midsize SUV market is going to be interesting to keep an eye on. Volkswagen has been working to regain the trust and confidence of the public since the diesel emissions scandal hit the company less than two years ago, and it seems to be succeeding. 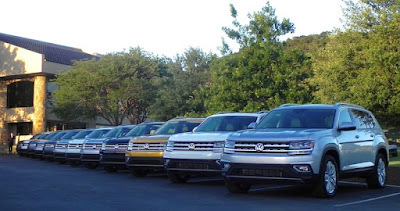 Mike Lovati, Vice President of the Midsize/Full-size Product line, said VW sales for the first quarter of this year were at about 76,000 units, compared to less than 70,000 for the same period a year ago, and March numbers were up to 27,635 units, an increase of 2.68 percent over March 2016. The Tiguan is enjoying its best sales ever, and the Golf sport wagon sales, including the new Alltrack, also are up significantly, Lovatti said. 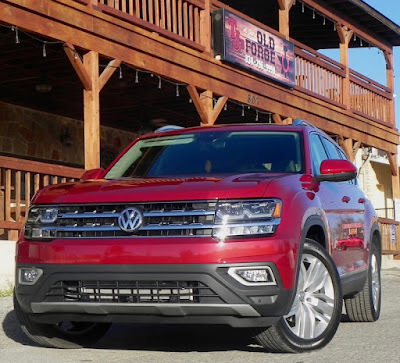 The 10.3 percent increase in overall sales ranks VW fifth among carmakers in percentage growth, though you have to remember that with smaller overall numbers small increment increases result in bigger percentage jumps. “Volkswagen becomes a full-line, family-focused auto manufacturer with the vehicles we are now bringing to the market,” Lovati said. “With the addition of the Atlas and the 2018 Tiguan we’ll be competitive in four of the five biggest segments of the U.S. market — compact sedan, midsize sedan, compact SUV, and, of course, the midsize SUV. “So we’re really going at the core of the market at the sweet spot. 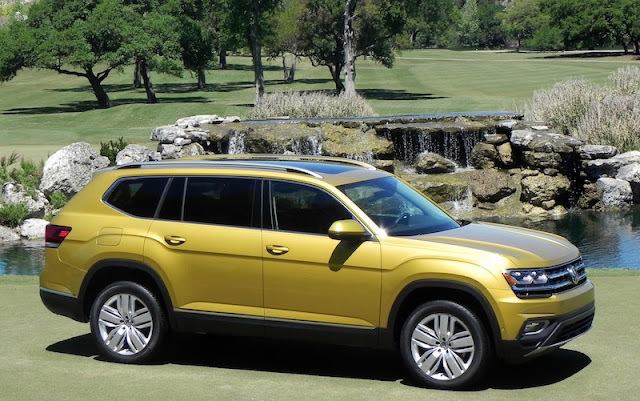 The Atlas is helping us and the new Tiguan at the middle of this year is helping us as well. “So our Atlas — built in America and designed for the American family. It’s built alongside the Passat at our Volkswagen assembly plan in Chattanooga, and it’s the result of an additional $900 million investment by Volkswagen over the past few years. It will surprising if the Atlas doesn’t figure prominently in continuing that momentum.